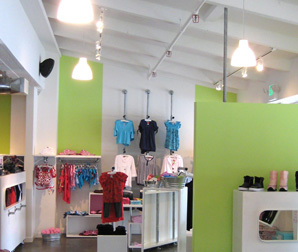 The third location of this successful Bay Area children’s clothing boutique located in Palo Alto’s iconic Town & Country Shopping Center required a full mechanical and electrical rebuild, much of which was forced to be run through adjacent tenant spaces. This was achieved with minimal disruption to our client’s neighbors through after-hours construction. 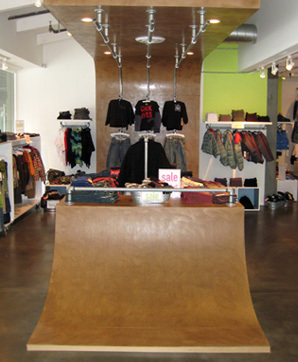 The store is finished with custom product displays, cash wrap, integral-color concrete top coat and ceiling-mounted inverted skate ramp.